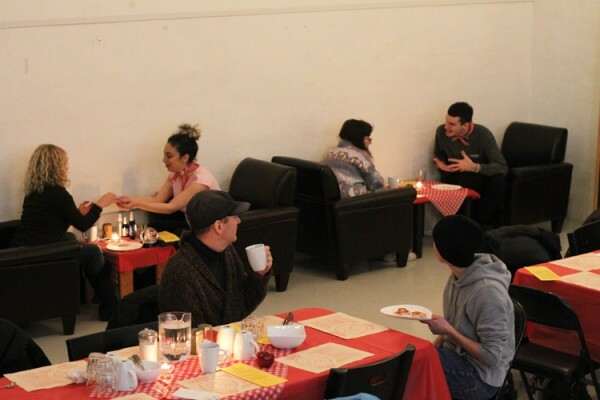 Week two of the Artists’ Soup Kitchen presented a collaborative creation by duo Helen Reed and Hannah Jickling. 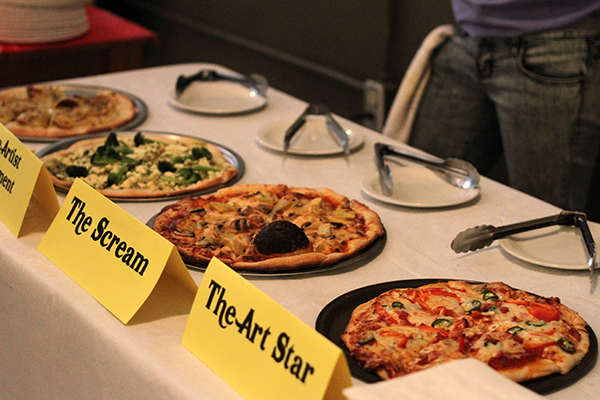 Soup Kitchen guests were invited to choose one of four specialty pizzas. 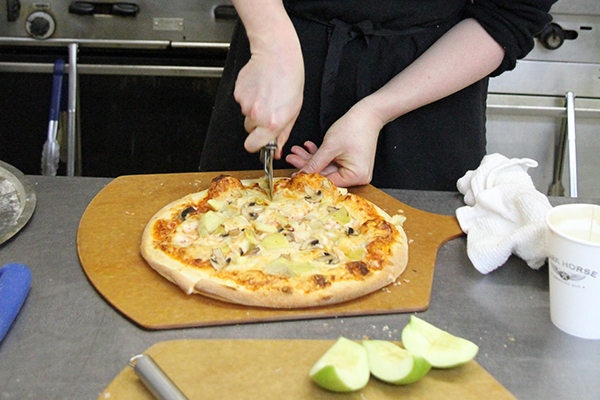 Each pizza was prepared with ingredients that corresponded to an aspect of life as an artist. 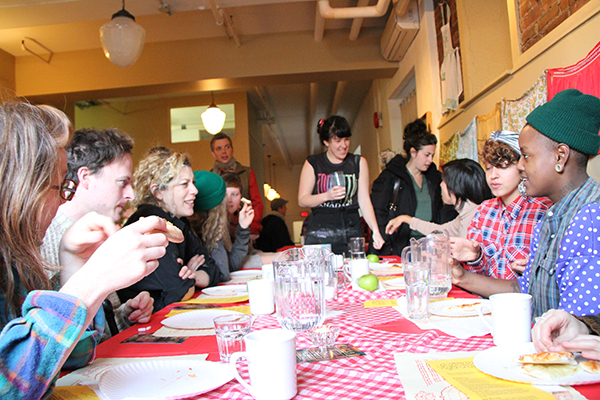 Guests were encouraged to bring their artistic concerns to the table while eating. After their meal, guests could have their crusts and crumbs ‘read’ by a divination specialist. The piece viewed divination as a social form, where the reader and querant work together to assemble meaning. 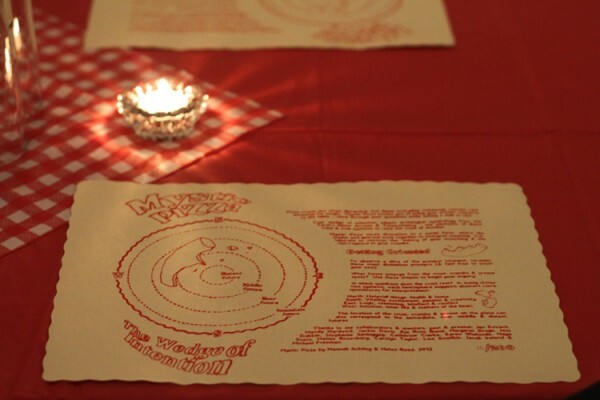 Helen and Hannah hand-printed paper placemats that introduced and guided guests through ‘crust divination’ techniques.